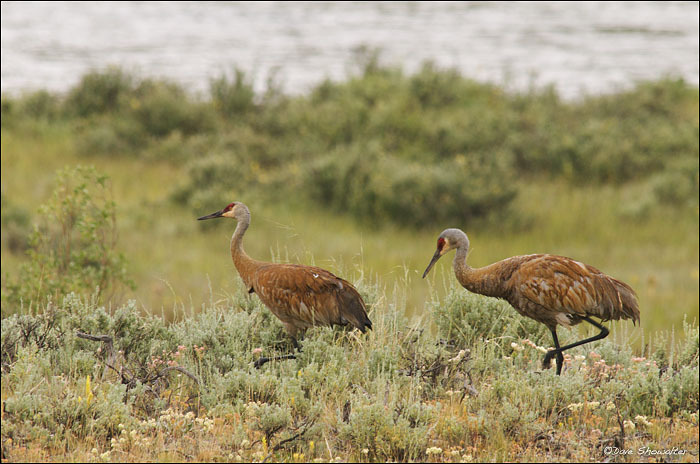 Greater sandhill cranes migrate from Bosque Del Apache in New Mexico to the Greater Yellowstone Ecosystem in spring, where they mate, nest, and raise their young before migrating south. These two cranes were feeing in sagebrush in the Upper Green, near Green River Lakes. Grus canadensis. Photo © copyright by Dave Showalter.